Hello, friends. How have your week been? I have had a congested week. As I mentioned on the social media platforms, my debut work of fiction is about to be released by the publishing house ‘Story Mirror’ this year. The editing works are almost completed. I am, right now, working on the blurb of my book, which is a difficult and time consuming task in itself. Amidst all the chaos, I am here with yet another edition of ‘Author Talk’. Today, we have Namrata Madhira, AKA Privy Trifles, sharing with us a Guest Post on ‘Lessons In Writing’. 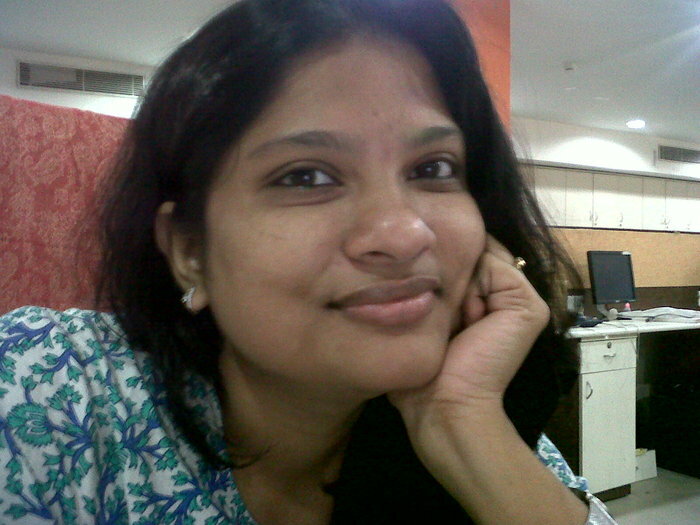 Namrata is a versatile blogger and a prolific writer. I started knwoing her through her blog, Privy Trifles and it didn’t take me long to be her frequent visitor. Her words are captivating and her prose lucid. She is a contributor to many an anthology too. She also has two short stories collection in her repertoire – Metro Diaries and Metro Diaries -2. Without wasting any more time, I am handing over the baton to Namrata, whose article is sure to leave you enlightened. In the last six years that I have been writing regularly there are lots of instances when I either am given advice on writing or asked for it. I prefer the former than the latter because I think I am still a learner who shouldn’t be giving advices. Out of all the advices I have received till date I would like to share with you two advices, one which according to me is the best advice I have ever got and the other, the worst. A post outlining all the advices received would have been quite an interesting read but here I want to provide you a balanced view about writing and in the process attempt to clear any myths or misconceptions you might have harbored in your heart. I am also going to explain the why behind it, not because I need to justify my stance but to show that what is worst for me could actually be best for you; simply because our answers for the master question “What does writing mean to you” differ. Write not because you can, but because you need to and there is no other way you can bring solace to your heart. I was fortunate to have attended a workshop with a Booker Prize nominee who had a lot of advices for all budding writers. One of the most important things he said was the above lines. According to him, being able to bring out our inner most thoughts on paper in words is something that makes us special. There are many who don’t know this art (Ref: Illiterate i.e. people who cannot read or write) and are missing out on the magic of words. Write daily because that is the voice of your soul. Don’t force yourself to write in a particular fashion just to become popular. Remember one of the best authors we look up to today used to invent new words in English while writing. Experience the joy of creation rather than pushing yourself to replicate a masterstroke by someone else. Never be emotionally attached to your writing. This advice was given to me by a fellow author in a creative writing workshop who also happens to be a published writer and someone whose writing is too good. During the workshop we were supposed to critic each other’s works and somehow she felt I had taken the feedback too personally. She advised me to detach myself from my writing because that is when I will be able to focus on it better. With due respect to her I strongly disagree with this advice. I thought about it a lot with the intention of implementing it. But after a lot of rumination I concluded that if I detach myself from my writing I won’t be able to improve it at all. For me writing is my creation, a part of me in the form of words. Just like a mother feels bad when someone pinpoints her child’s negatives I also do feel bad. But then a mother also knows how to not spoil her child and ensure those negatives are worked upon before they turn into vices. If she is not attached to her child she won’t be able to do this. I have always said I am my worst critic and I am never satisfied with my own work which of course is very good sign. At the same time I am attached to my pieces but not to an extent that I feel they are flawless. I am attached to an extent that I can see all the flaws and still believe in their potential, and hence keep reworking on them. Before you leave, please drop any queries that you might want to be answered by the author. If not, do leave your opinions on the guest post or the column. I hope you have a wonderful week ahead! What will writing be without emotions….I cannot think of any work that is sans emotions…..You are write in stating that as the worst writing advice…..I have to start writing daily – have been seeing this advice almost everywhere…I usually get busy with kids and household stuff and the day just goes by……but it is one thing that will hone the skills, make way for more creation….imitating or confining to a particular writing style isn’t a good idea too…..I agree with that….Thanks for the encouragement…..Will check out Metro Diaries…. I like Namrata’s words. Her thoughts are correct, we have to be attached to our writing to keep improving it. I had read the first book of short stories and had enjoyed them. I wish her all the best for the second edition. Thanks for this post Maliny.